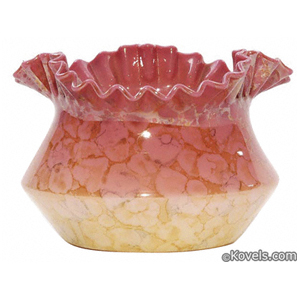 Agata glass was made by Joseph Locke of the New England Glass Company of Cambridge, Massachusetts, after 1885. 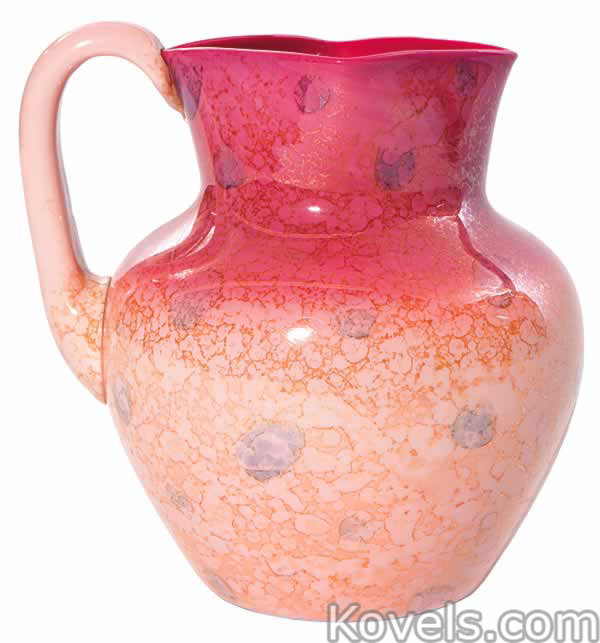 A metallic stain was applied to New England Peachblow, which the company called Wild Rose, and the mottled design characteristic of agata appeared. 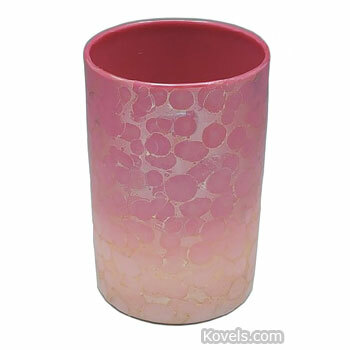 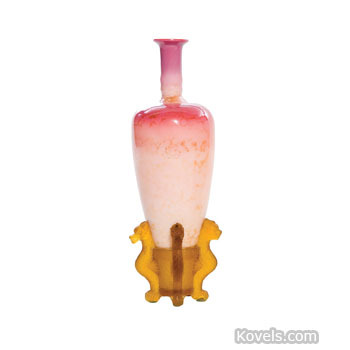 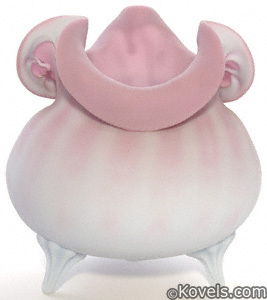 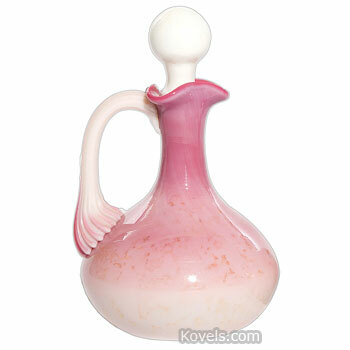 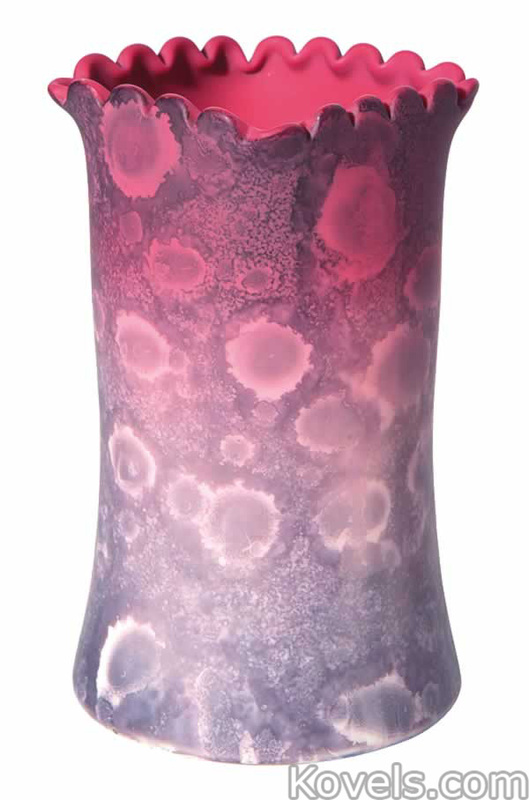 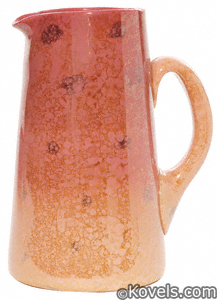 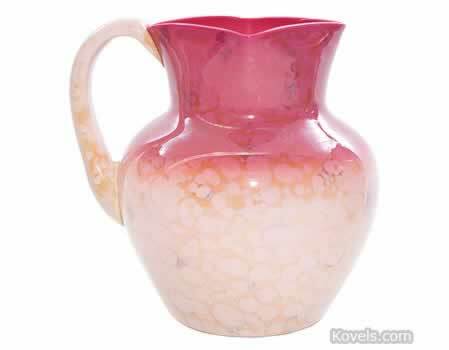 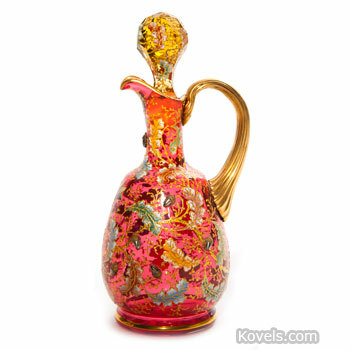 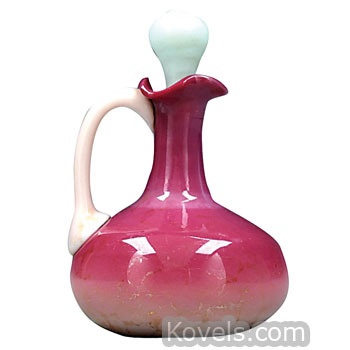 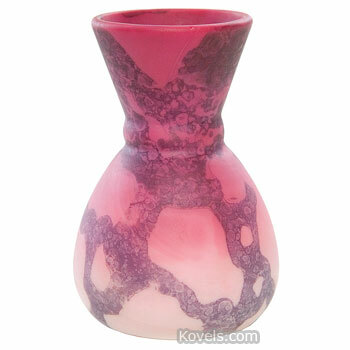 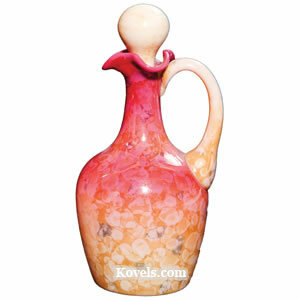 Most agata glassware is shaded pink to rose or rose to white, with mottled spots similar to lusterware. 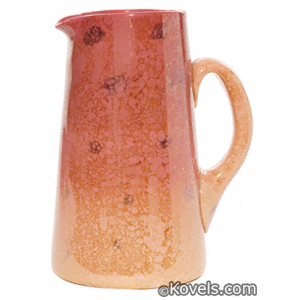 There are a few known items made of opaque green with the mottled finish.